The Vancouver Art Gallery transforms into THE place for art, music and live performance in the city. 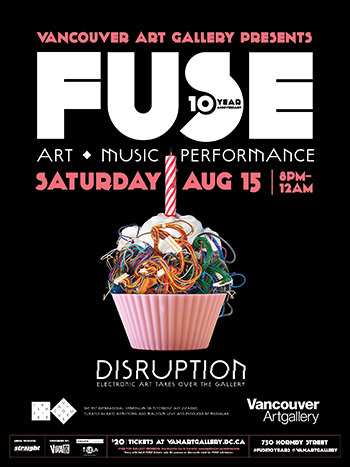 Since its inception in July 2005, thousands of FUSE–goers have converged at the Gallery for this unique adult event. Live performances in the Gallery spaces, DJs, eclectic Gallery tours and unexpected surprises have made FUSE Vancouver’s favourite see–and–be–seen event.